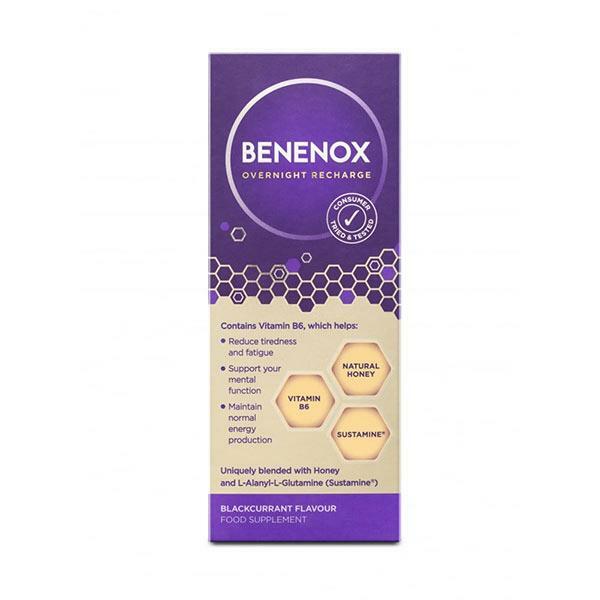 Benenox overnight recharge is designed to help you get a restful nights sleep leaving you feeling recharged and energised for the next day. Containing vitamin B6 as well as natural honey and Sustamine (L-Alanyl-L-Glutamine). Perfect for those who struggle to get a peaceful night sleep.